I have always been a prepared person, but now as a mom I find myself wanting to be prepared for anything and everything ahead of time. That way I don’t have to worry about things last minute. One place that I ALWAYS try to keep stocked with things I might need is my truck. 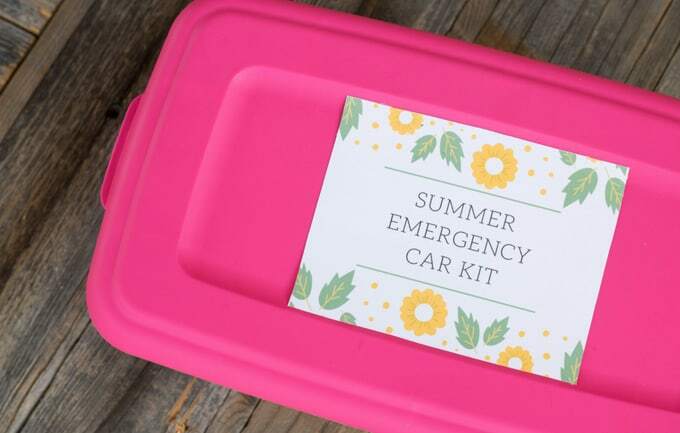 I am extremely forgetful so having a summer emergency car kit is a must. I can’t tell you how many times I have arrived somewhere just to discover I forgot the sunscreen or something else equally important. So I combat my mom brain by staying prepared ahead of time! 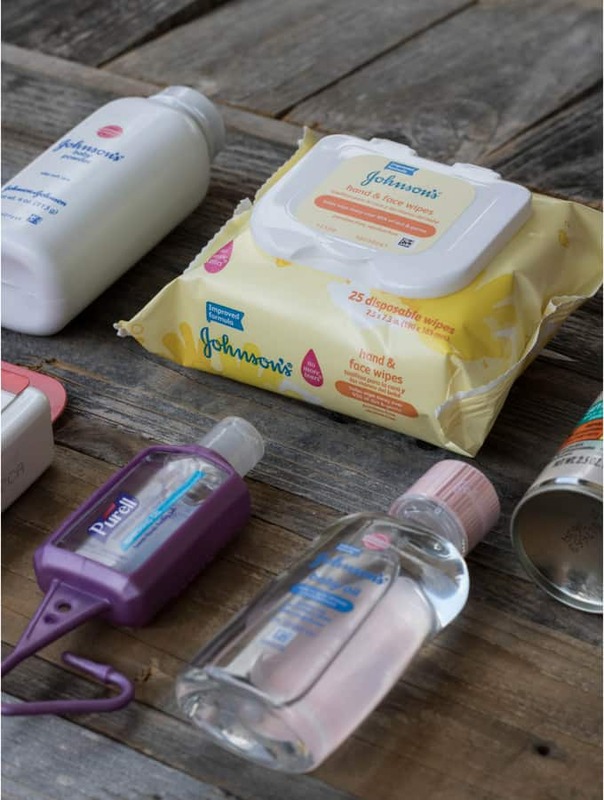 I usually try to stay prepared year round with a backpack or bag of some sort in the truck that has a change of clothes and extra diapers/pull ups with wipes because year round you can never have too many back ups when it comes to leaving the house with kids. And like I said. I’ve had many accidents happen and only then realized that I had forgotten extra clothes for my daughter at home. 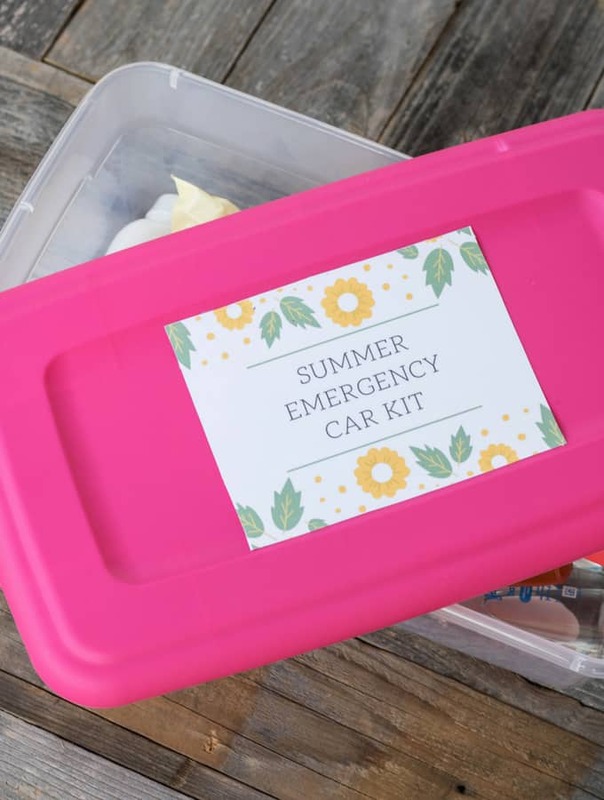 In addition to the backup I also think it is a brilliant idea to keep a seasonal emergency kit in your car so that you are prepared for anything that could come at you while out with your kids. This is what we are keeping in our vehicles (and have considered it for the boat too) this summer to make sure we are prepared. 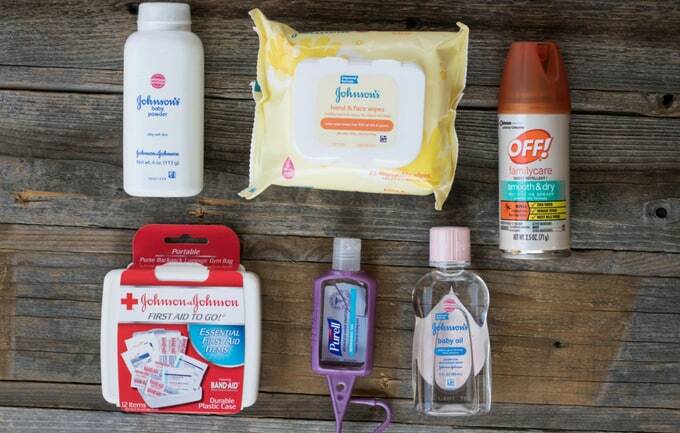 The best part about this summer car emergency kit is that I got almost everything in the dollar trial sized aisle at Walmart. So making this kit is super inexpensive and easy to do! Obviously, these are amazing for anything related to kids (haha!). You can pretty much guarantee that kids are going to get messy no matter where you go so I take these along to clean them up. 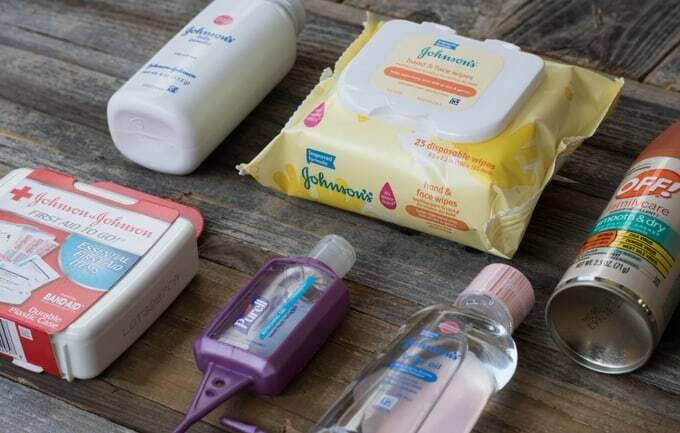 I use them to clean my daughter up after we’re done at the park, for getting sticky snow cone juice off her face and hands before we get into the car, and if we are at the lake I use them to clean her up before heading out to eat. They are really great to have on hand no matter what situation you are in. 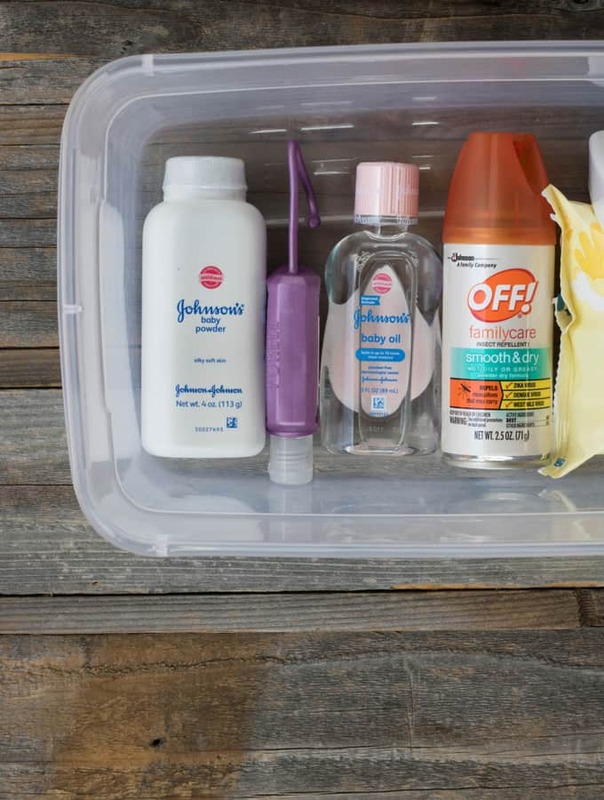 Mom Hack: you can also use these to remove makeup on the go! If I get sweaty after a workout or just want to freshen up my makeup I use these to remove what I already have on. 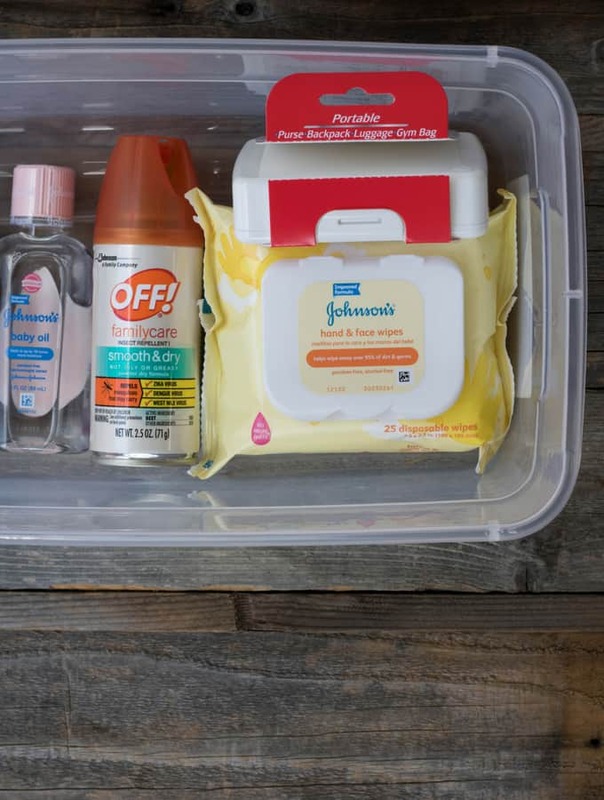 This also kind of goes without saying, but the bugs in the summertime are bad in Texas so we carry bug spray with us in our summer emergency car kit. If we don’t the mosquitos will eat us alive! 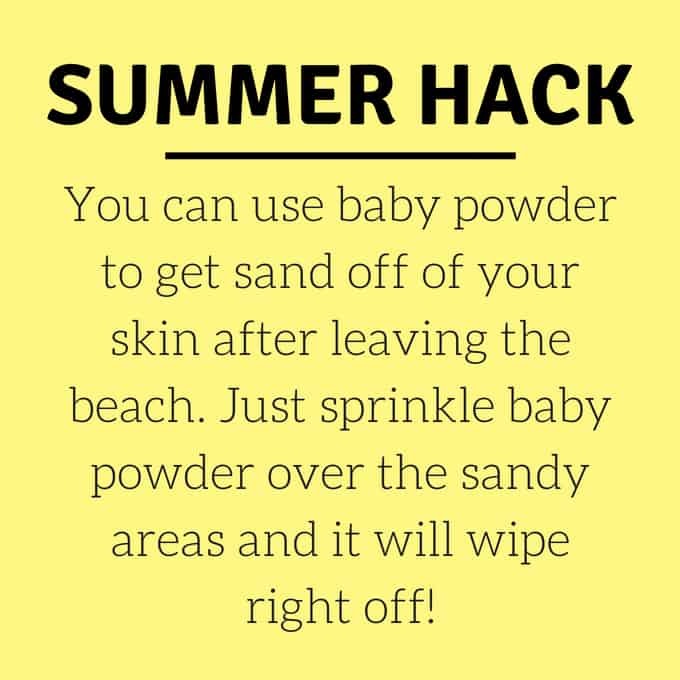 This has got to be my favorite hack ever and it is the sole reason we carry around baby powder in the summer. If you are at the lake or the beach and you or your kids are sandy, you can cover the sandy areas of your body in baby powder and the sand will rub right off. I LOVE doing this because my family would drag sand into my truck and then into the house after being at the lake all day and it is impossible to clean every grain of sand up. That stuff follows you everywhere! Hand sanitizer is just great to have on hand for cleaning hands before mealtime. In the summer we are out at the park, on the boat, or at the lake beaches and typically head out to eat afterwards. It is also great for cleaning up sticky kid hands! 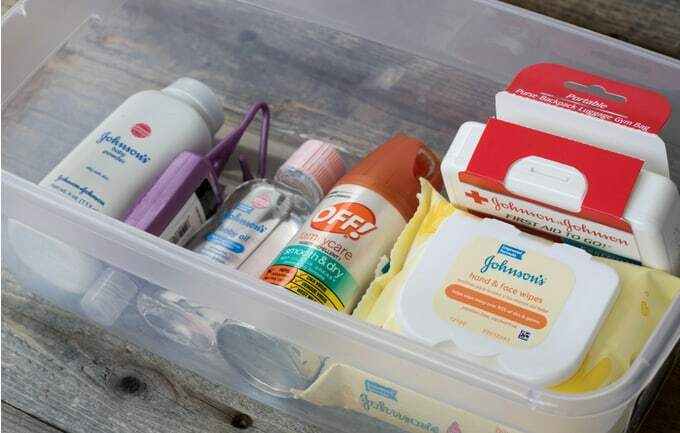 You never know what might happen so we put a mini first aid kit into our car emergency kit. It only holds a few bandages, gauze, and sanitizing wipes but I got it in the dollar trial size aisle at Walmart so when you run out it is super inexpensive to replace. 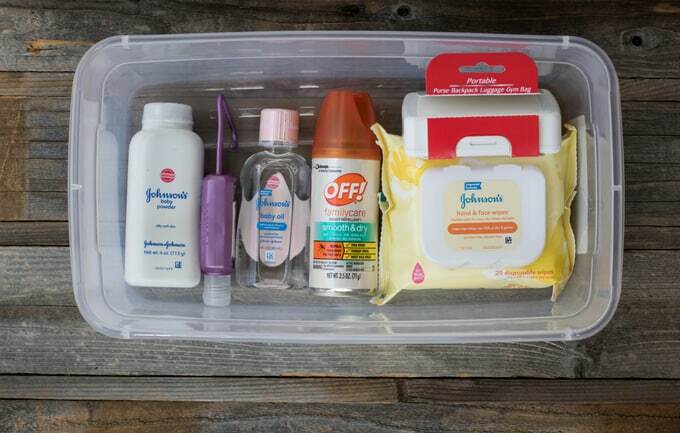 There are SO many uses so I always keep it in my summer emergency car kit! I keep sunscreen with me at all times in the summer! You never know when you are going to need it and it will always come in handy when you are outside with your kids.